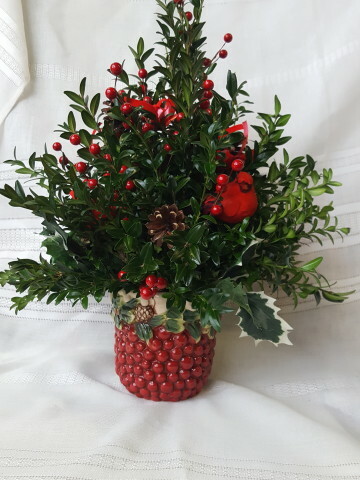 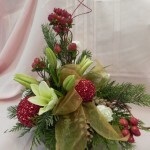 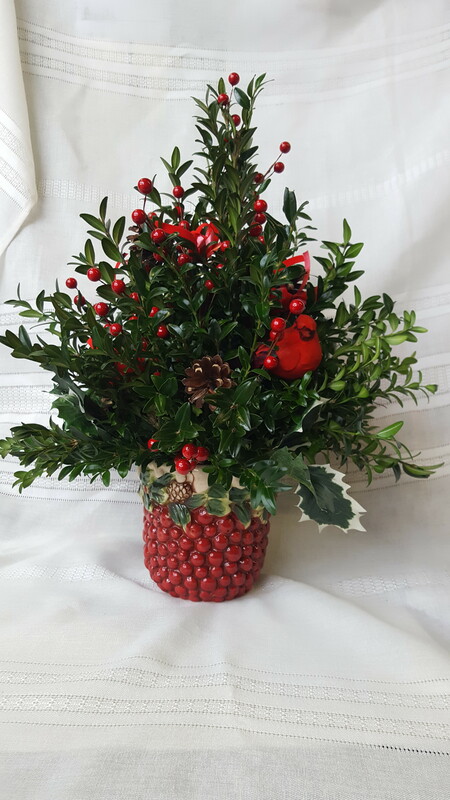 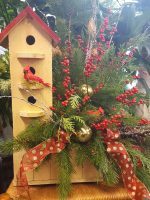 Assorted northern greens, berries and cones hand crafted into a beautifully decorated Christmas tree centerpiece. 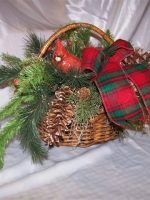 Table top hand crafted Christmas tree centerpiece. 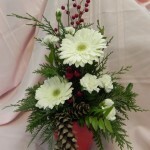 Container may vary.